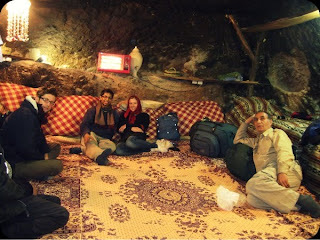 ...basking under my yellow sky...: Caves FTW! 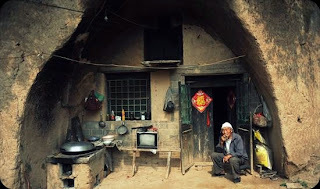 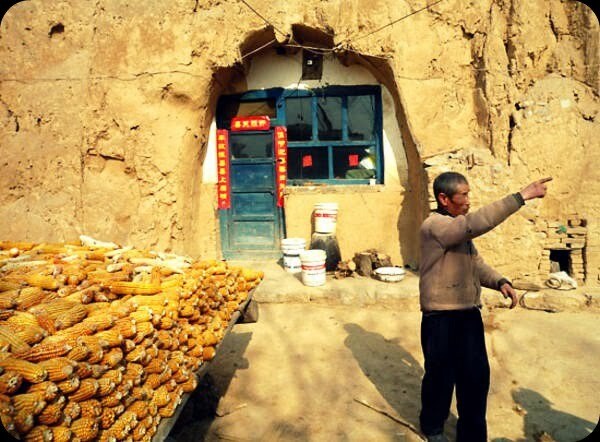 Some 35 million Chinese still live in caves and over a 100 million people reside in houses with one or more walls built in a hillside. Many of the cave and hill dwellings are in the Shanxi, Henan and Gansu provinces. 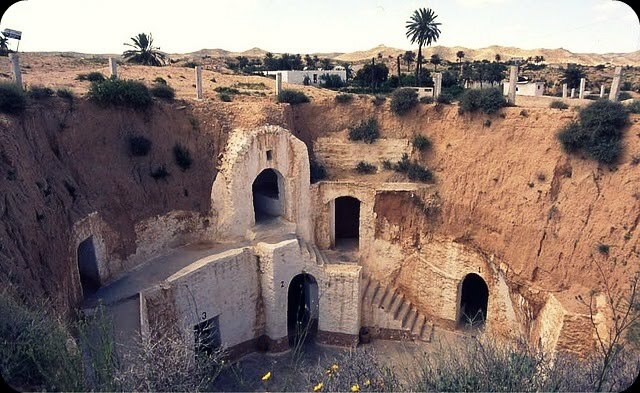 Matmâta or Metmata is a small Berber speaking town in southern Tunisia. 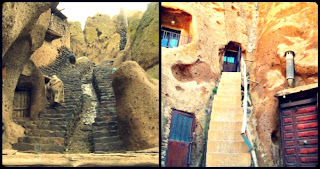 Some of the local Berber residents live in traditional underground "troglodyte" structures. The structures typical for the village are created by digging a large pit in the ground. Around the perimeter of this pit artificial caves are then dug to be used as rooms, with some homes comprising multiple pits, connected by trench-like passageways. Located in the eastern Iranian province of Azerbaijan, Kandovan is a mysterious village of the thirteenth century. Many houses in Kandovan have done in caves located in the cone-shaped, formed naturally compressed volcanic ash formations that make scenery look like a giant termite colony. 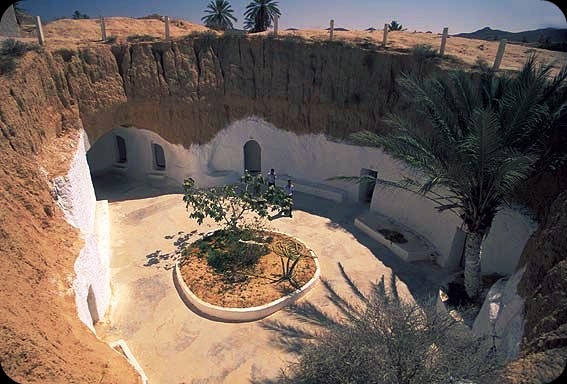 Most of the cave houses are 2-4 floors high. 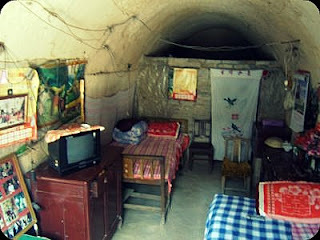 In a typical four-story house, ground floor is used as an animal shelter, the next two floors used as living room, and upstairs is used for storage. Material hardens pillar is an efficient insulator and shelter. 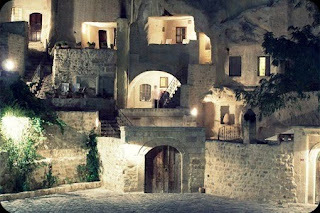 Located in the ancient village of Urgup, this amazing hotel was carved into the side of a mountain. Yunak Evleri hotel includes 6 cave houses with modern bathrooms and 30 private cave rooms dating back to the 5th and 6th centuries.